In a world filled with plenty of music, Cryptex stands out meshing a glitch infused synth sound with some heavy bass for spectacular results. Check out my review below! With a song titled “Awakening”, the energy needs to be turned up to 11 and that is exactly what Cryptex has done. With an uptempo rhythm and a glitch-heavy melody, this track is the perfect start to the EP, Nightwatch. You’ll find the sounds mesmerizing as the levels rise and fall. If you haven’t heard glitch before, it finds that grey area between Transformer sounds and beautiful synth work. The best of both worlds in my opinion. The title track from the EP begins mysteriously with pads that defy all explanation. Given the name of the track (and EP) this track banks on that feeling of being watched by an unseen entity. In this case we move into a slower glitch sound that quickly defies expectations and turns the bpm WAY up. I love it. I love that I have no idea what is coming next and with glitch, that is the beauty of the sounds. Anything goes and Cryptex has nailed the appeal with the ever-changing sounds and the dark atmosphere to the track, and the EP. You can check out my review of “The Fall” right here! 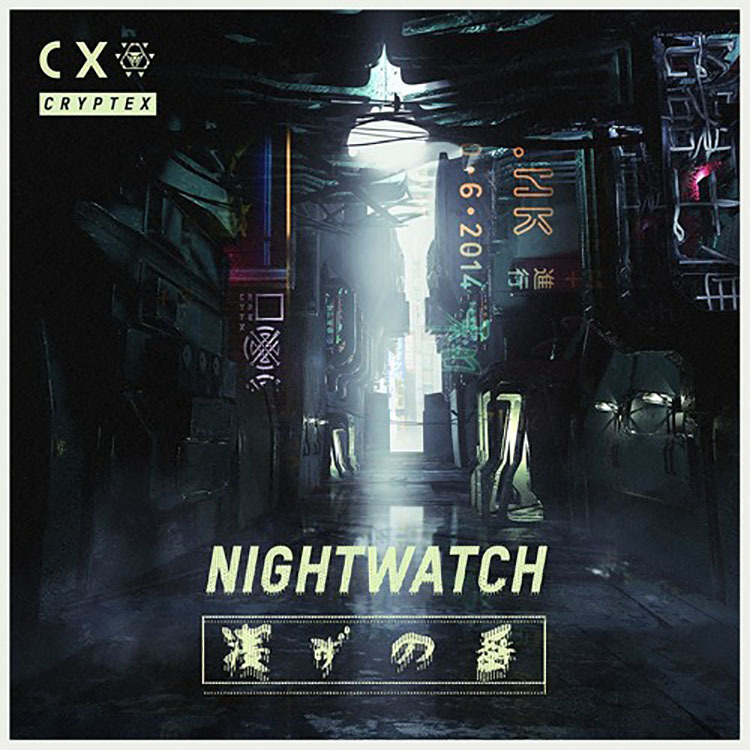 Check out the EP, Nightwatch, from Cryptex and let us know what you think! I thoroughly enjoyed each track on the EP and I cannot wait to see what 2016 brings for this rising star.